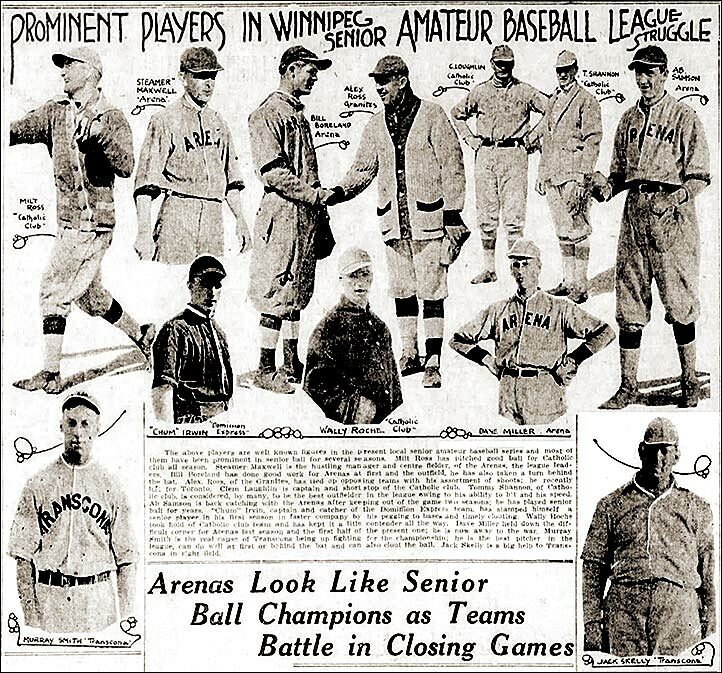 Even with a professional team in town (the Winnipeg Maroons of the Northern League) the Winnipeg Tribune did an outstanding job of covering the amateur ranks, especially the five team Winnipeg Senior League. 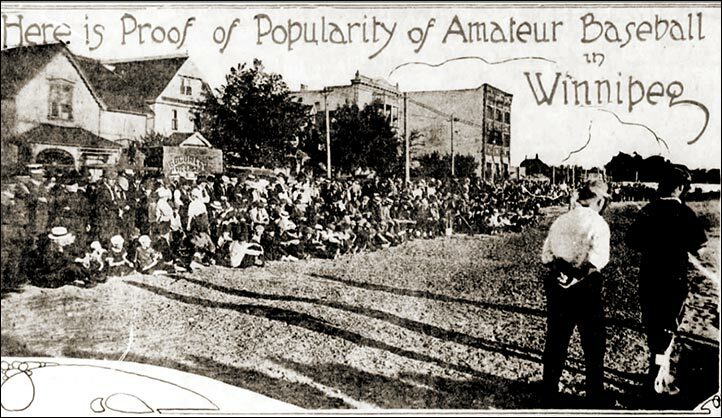 This was a photograph the crowd along the Balmoral Street side of Wesley College field at a senior amateur game between Dominion Express and Arenas which drew a crowd of between 2,500 and 3,000. The picture, in which women, men and children are bunched together gives an idea of the bumper attendance for each of the four sides of the field which were crowded by enthusiastic fans. This appears to be a photo from a vantage point just behind home plate looking up the third base line to left field.